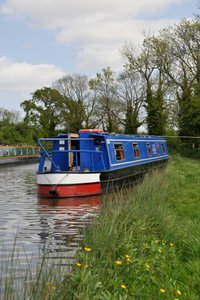 Keep up to date with the latest canal boat holidays news and information. "I just want to thank you for the wonderful holiday, we just had from 19th-24th Feb. Union Wharf, it was the first time we had been on a canal boat and it was fantastic and we will definitely be doing it again, the children loved it seeing all the wildlife and helping with the locks, your staff were brilliant and so helpful, your boats are so well equipped with everything you need. thank you very much again"